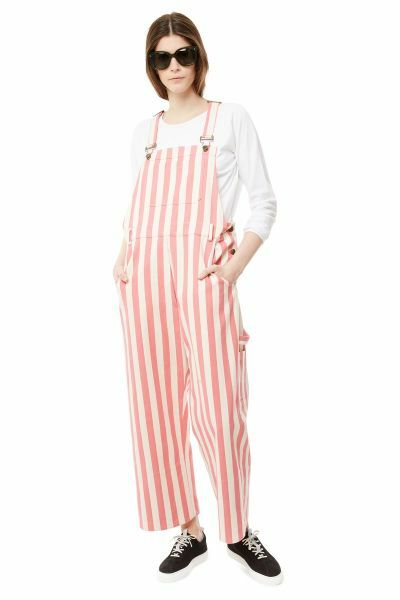 The Daphne dungarees in raspberry & ecru stripe are our take on the classic dungaree. 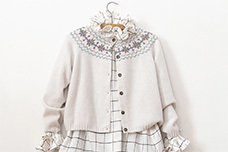 Cut with a straight leg and simple bib, then paired with exciting fabrics. 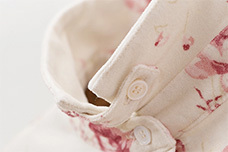 Daphne has adjustable straps that fasten with a simple dungaree clip to the bib. Cabbages & Roses engraved jeans buttons fasten at the side of each hip. A large patch pocket on the bib is good for keeping pencils safe. Curved side seam pockets and a false fly front adorn the top of the trousers. On the side of the left leg sits a small patch pocket with a handy hammer loop. 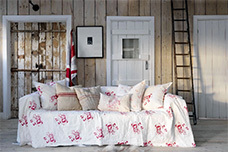 Daphne has a loose fit for comfort and has been designed to sit away from the body.